We are also a specialist Gym Cleaning Company offering excellent contract cleaning services to gyms, sports centres, soft play centres, fitness centres, adventure parks, seasonal cleaning services for amusement parks, etc. Our Commercial Cleaning Service for Gyms & Fitness Centres in Birmingham, Walsall, Wolverhampton, Cannock, Dudley, Willenhall, and surrounding areas are second to none. We offer a fantastic cleaning service with a memorable cleaning experience for your staff and clients. Our staff always leave your premises smelling fresh and clean. We understand that Health clubs, fitness centres and gyms are ideal breeding grounds for germs and bacteria. We can help your premises live up to its name with our pristine gym cleaning services. 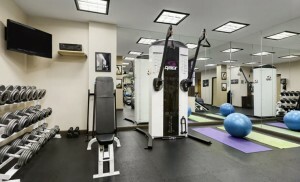 We also provide a carpet cleaning service for gyms and we provide spotless cleaning around a time that suites you. Our specialist trained cleaners provide commercial cleaning services that can deal with the spills and spots you can see in a gym, and also remove the germs and viruses you can’t see. We work carefully to ensure that no areas your of premises are overlooked by following our commercial cleaning specification which is second to none. Our gym cleaning service plans are designed around the needs and schedule of your gym or fitness centre. Many clients use and touch the same gym equipment day in and day out, and they should be able to do so without the fear of germs. Therefore we use powerful disinfectants to ensure that all gym equipment is completely sanitised, clean, and safe. We pay extra attention to showers and locker rooms, keeping them spotless and attractive to your clients. Schedule a free, no-obligation talk about our services and how we can help you. Contact us by calling us on 01922 663016 or 07508800024. You can also fill out our contact form for more information.